Information about Albuquerque's Animal Welfare services. Adopting a pet can be a wonderful experience. Thinking about surrendering your cat or dog to a shelter? 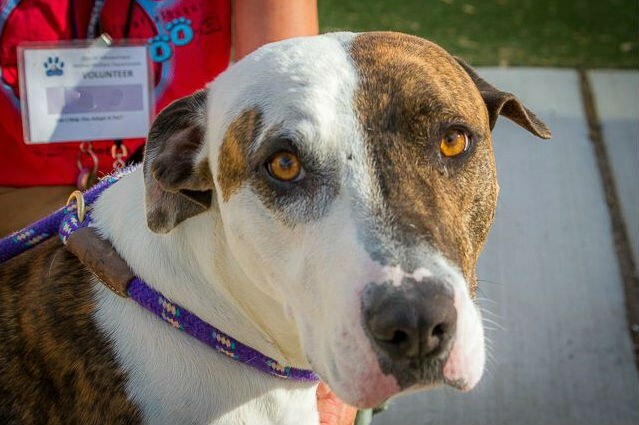 Albuquerque's lost and adoptable pets are our highest priority. We are honored to help with pet-care needs and questions. Find an Albuquerque dog park. Many rescue and specialty groups throughout the state help our animals to find forever homes. Frequently asked questions about adoptions, licenses, permits, and what to do if your pet ends up at a shelter. Sometimes animals can get noisy and it can be a distraction. Learn about reporting noisy animals. Find shelter hours and locations. Feel great and help shelter animals through volunteering. Learn more about volunteering at an animal shelter. Toys, towels and milk-bones are always in need. Find out what items are needed at our shelters. Fostering a pet is a wonderful experience. Complete a fostering application form. Lucky Paws is the first municipal retail pet adoption center in Albuquerque. Learn about Lucky Paws Centers and Mobile Lucky Paws. Find a place to live that allows pets. SmartAsset gives Albuquerque top marks in annual study.